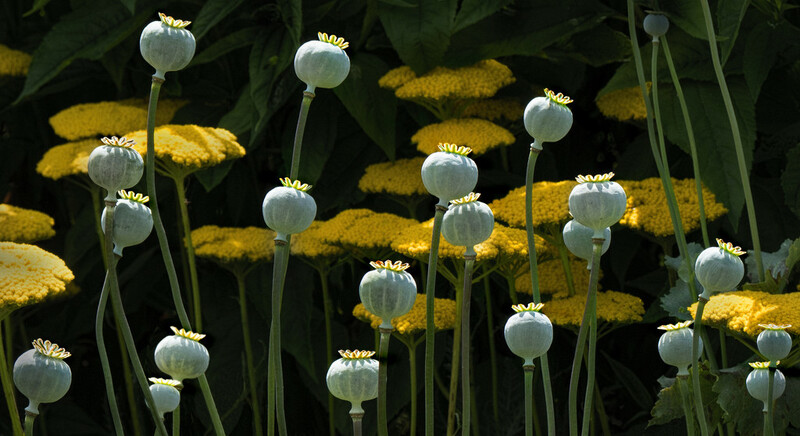 Poppy seed heads against a backdrop of Achillea flower heads. Stunningly fabulous! An instant fave for me. Beautiful! Love this photo and the lighting.